Vikings Rugby staff and players joined the team from the Modified Rugby Program (MRP) at the ‘Be the Best You Can Be’ Sports Day on Tuesday the 18th of September. The event was aimed at promoting inclusive sport and physical activity to children with learning and perceptual difficulties. The event hosted over 200 children, providing a great opportunity to showcase the MRP ahead of it’s introduction to the ACT. 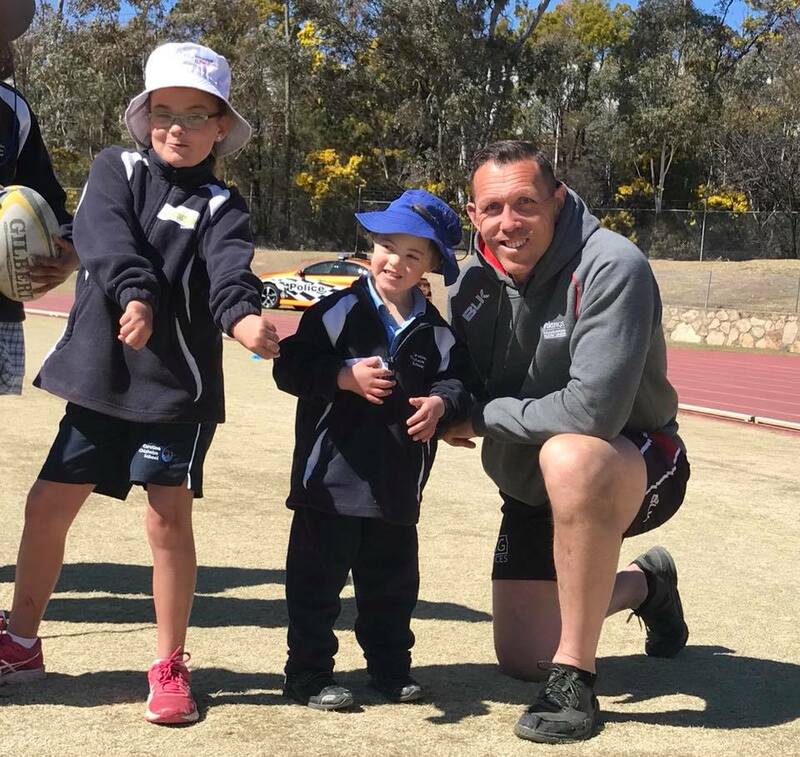 The MRP is a world first, touch-only version of Rugby that pairs a child with a learning or perceptual disability with a ‘PlayerMentor’ who teaches the child the fundamental skills of Rugby. The PlayerMentors, who guide the participants through the program, will be coming predominately through Vikings Rugby, but Vikings Rugby Administration Manager Ryne Bowden says they will also come from the broader ACT School community. It is hoped that by introducing the MRP to Vikings Rugby the Club as a whole can contribute positively to the community and help Rugby become inclusive and accessible to everyone. The Vikings will also be the first Club outside of Queensland to host the program. The MRP is an 8-10 week program that features a training session during the week and a game on a Saturday. Vikings Rugby are looking at hosting the program in Term 2 of School in 2019, so stay tuned to our website and social media if you know someone who would like to be involved as a participant or as a PlayerMentor.